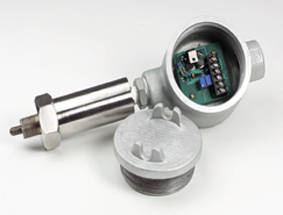 OMEGA’s PX91 Amplified Output Series is a rugged, high temperature/ ultra high pressure transducer. It is hermetically sealed, has all stainless steel construction and is designed for the harshest environments encountered in very high pressure/ high temperature test chambers. The PX91 is available in sealed gage pressures from 5,000 psi to 200,000 psi. Electrical connection is either a sealed Bendix connector or lightning protected amplifier housing. Pressure connection is via a high pressure ferrule connection. 참고: Comes complete with 5-point NIST traceable calibration. Metric Ranges Available - Consult Engineering.